Ladybird will no longer publisher books with the message 'for girls' or 'for boys'. 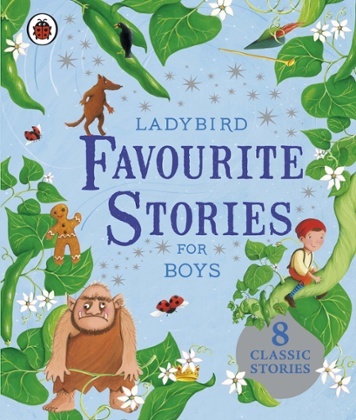 Ladybird, the iconic publisher of children’s books including the classic Peter and Jane reading scheme, has vowed to remove any “boy” or “girl” labels from its books because it doesn’t want “to be seen to be limiting children in any way”. The publisher, which is due to celebrate its centenary next year, is the latest to sign up to the Let Books be Books campaign, which argues that labelling books with titles like The Beautiful Girls’ Book of Colouring or Illustrated Classics for Boys sends the message “that certain books are off-limits for girls or for boys, and promotes limiting gender stereotypes”. Ladybird’s gendered titles include 2011’s Favourite Fairy Tales for Girls and Favourite Stories for Boys, the former claiming that “the mix of princesses, fairies and classic characters is perfect for little girls everywhere”, and including stories such as Cinderella and Sleeping Beauty, the latter that “the lively mix of adventurous heroes, dastardly creatures and classic characters is perfect for boys everywhere”, and including Jack and the Beanstalk and the Three Little Pigs. Ladybird for boys Photograph: PR. Image via The Guardian. Ladybird said that it only had six titles with “this kind of titling”, and told campaigners that “following discussions, should any of the titles you mention be reprinted for the trade we will be removing this labelling”.